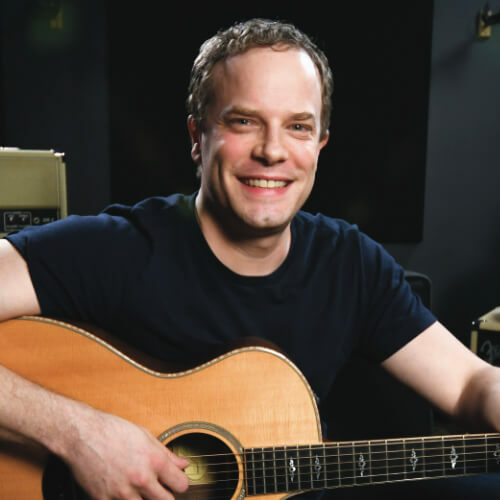 In this lead guitar lesson, we’ll go over the five pentatonic scale shapes. These shapes are essentially the “Meat & Potatoes” of lead guitar. This is because they sound great over many styles of music, and are relatively easy to start improvising with. The pentatonic scale is a five note scale. It comes from the major scale, which is a seven note scale. In this lesson, we are going to be in the key of G major. The notes in a G major scale are G A B C D E F#. To turn our G major scale into a G major pentatonic scale, we just have to remove the 4th and 7th scale degrees. This leaves us with the notes G A B D E.
Shape #1: The first major pentatonic scale shape starts with our G root note on the 3rd fret of the 6th string. With each of the shapes we learn, there will be a chord shape that will go along with it. In this case, it's an E major chord shape. Pro Tip: Try to visualize the shape of the related chord with every scale shape you learn in this lesson. Notice where the root note locations are, and use them to help you understand and remember each shape. Shape #2: The second scale shape will start with your second finger on the 5th fret of our 6th string. This position is related to a D major chord shape. Shape #3: The next scale shape will start with your fourth finger on the 10th fret of the 6th string. This position is related to a C major chord shape. Shape #4: For the fourth scale shape you'll start with your second finger on the 10th fret. This position is related to an A major chord shape. Shape #5: The last scale shape begins with your fourth finger on the 15th fret. This position is related to a G major chord shape. Once you know the five major pentatonic scale shapes, you automatically know the five minor pentatonic scale shapes. It all relates back to the major scale. 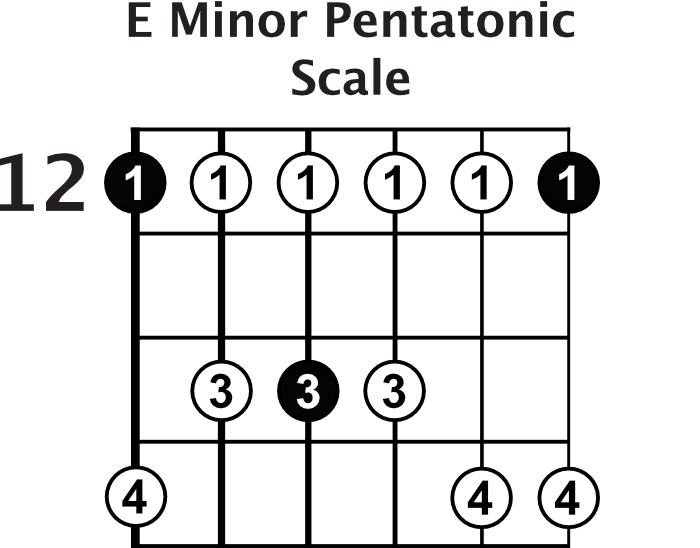 If we take the notes in our major pentatonic scale, and start on the 6th scale degree of the major scale, you'll be playing in the relative minor key. You can use all the same shapes you've already learned for the G major pentatonic scale. All you have to do is emphasize the E notes in your scale shapes and they become E minor pentatonic scale shapes. Below you can see this scale is the exact same shape as our "Shape #5". The only difference is the location of the root notes, which have changed from all the G notes to all the E notes. Try emphasizing the E notes in all five scale shapes. This will give each scale shape a minor feel. I've included a Jam Track that you can download at the top of the page. This track is basically just four measures of the G major chord, followed by four measures of the E minor chord. Listen to how the scale shapes sound different over each chord. Work on emphasizing the root notes of each chord with each shape. Don't feel like you need to do this with all five scale shapes at once. Take it one shape at a time until you feel like you're really getting the hang of it.